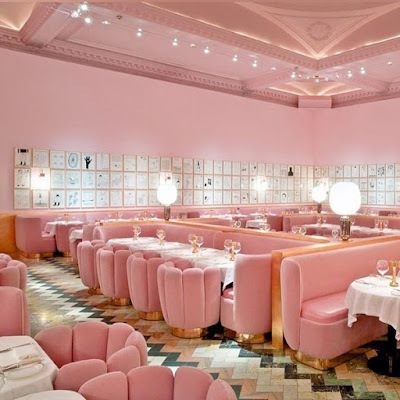 Mario Basdescu Rosewater Spray - DOES IT WORK? You've seen the spray, you're tempted to join the hype - but you're not sure if it actually works. 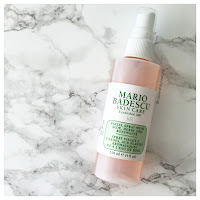 The Mario Badescu Facial Spray is packed with Aloe Herbs & Rosewater, it's supposedly a refreshing, hydrating mist for all skin types.It can be utilised as a primer mist or setting spray for make-up and to help revive dehydrated skin. Incorporated into my new make-up routine, I use this spray before applying any form of make-up to my skin. I'd recommend 2-3 sprays on clean, dry skin. Allow the spray a few minutes to dry and begin to apply your make-up. Once your make-up has been applied, spritz your skin with the spray again, until your entire face has been kissed by it. Do not drown your face in this spray, hold the bottle 30cm from your face so it acts as a light mist.